Occupying the northern third of Great Britain, Scotland draws visitors in with its rich culture, its fascinating history, and the sparkling waters of its many lochs. 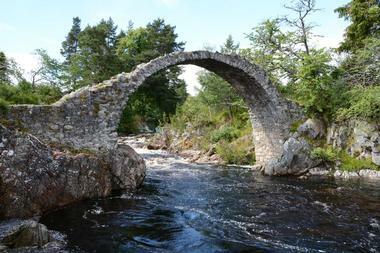 Forget the stereotypes about tartan and haggis; Scotland is home to a seemingly endless array of unique castles, a host of world-class art and science museums, and some of the largest wilderness areas in Western Europe. Despite the country's relatively small size, exploring it fully would take most people an entire lifetime. 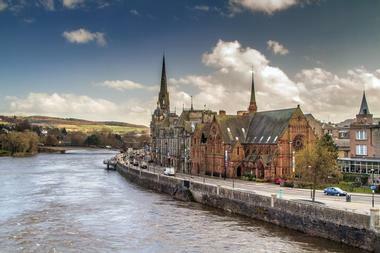 The region of Aberdeenshire boasts 165 miles of beautiful coastline, including a sandy beach right in the city center. Many of the buildings here are made out of silvery-grey granite that sparkles in the sunshine, which has led to nicknames such as the "Silver City with the Golden Sands." The 300 castles found in Aberdeenshire are a major attraction as well, and outdoor enthusiasts will enjoy the 55 golf courses and five ski resorts found in the area. Sitting at the northwest corner of the spectacular Cairngorms National Park, Aviemore is one of Scotland's most popular holiday destinations. The town is most popular as a base for people looking to enjoy the beautiful natural surroundings, which have plenty to do all throughout the year. Skiing and snowboarding are the biggest draw in the winter; the town is located not far from CairnGorm Mountain, the best-known ski hill in the country. During the summer months, most visitors come to hike in the park, partake in exciting activities like quad biking, and visit the animals at the Cairngorm Reindeer Center. Only 37 miles away from Glasgow, Ayr is a charming seaside resort town with plenty of hotels, restaurants, and other tourist amenities. The highlight of the town is its long sandy beach, which is perfect for lounging in the sun, building sand castles, or taking a leisurely stroll. A children's playground makes the beach a great destination for families, and there is no shortage of parking on the road that runs along the esplanade. When you've had your fill of sun and surf, you can head to the Ayr racetrack, which dates back to the 1500s and holds plenty of meetings all year round. 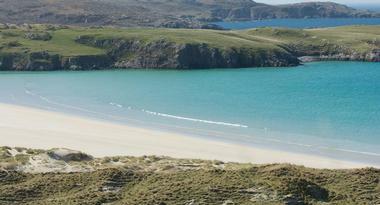 Part of the Outer Hebrides, Barra is one of the southernmost inhabited islands in Scotland. Despite being only 23 square miles in size, the island offers a wide variety of natural beauty that includes beaches, rolling hills, grassy plains, and moorland. Many visitors enjoy simply walking or cycling around the island to enjoy the scenery, but you can also go for a kayaking trip, play a round of golf, or visit the medieval Kisimul Castle. The island can be accessed either by ferry or by plane, although it's worth flying in to see the unusual airport, whose runway is only visible at low tide. 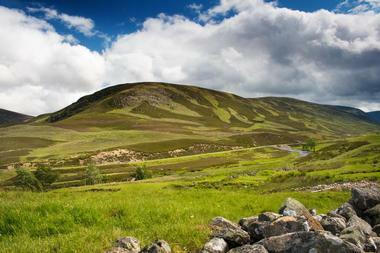 Nestled in the heart of the Scottish Highlands, Cairngorms National Park is the largest national park in the whole of the United Kingdom. There's no shortage of exploring to be done here; the park offers beautiful waterfalls, peaceful old-growth forests, and five of the six highest mountains in the UK. 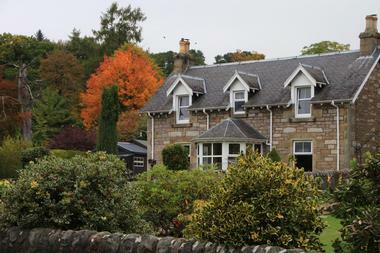 Visitors can partake in everything they'd expect to do in a national park, such as hiking, skiing, and camping, but other possible ways to spend your time here include windsurfing on Loch Morlich, sampling whisky at the Glenlivet Distillery, and visiting the only free-grazing herd of reindeer in the UK. 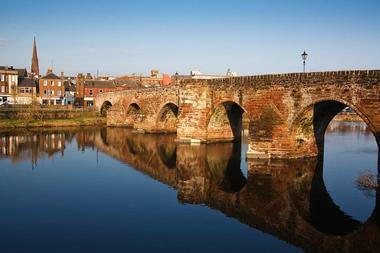 Nicknamed the "Queen of the South," Dumfries is a market town with a fascinating history. The town is dotted with historic pieces of architecture, including a Gothic bridge built in the 12th century, the triangular Caerlaverock Castle, and the beautiful Greyfriars Church, where Robert the Bruce committed his infamous murder. Anyone interested in the darker side of the town's history can take one of the many guided ghost tours on offer. Dumfries has also been home to a number of famous individuals over the years, but the most notable is Robert Burns, whose home has been turned into an interesting museum. 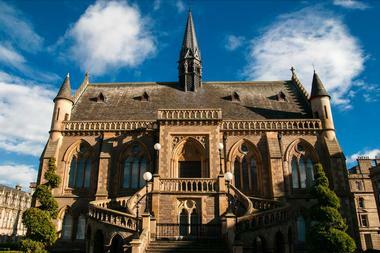 Surrounded by lush green countryside, Dundee offers an enticing blend of ancient history and modern culture. Ancient abbeys and castles sit alongside modern museums and art galleries, while the beautiful city waterfront provides a pleasant place to relax. Thanks to the city's many contributions to fields ranging from textiles to medical research, it was named the first UNESCO City of Design in the United Kingdom. The city also has an excellent selection of shops, restaurants, and cafes, but it's easy to get out of town if you want to visit the coast or explore the surrounding hills and glens. 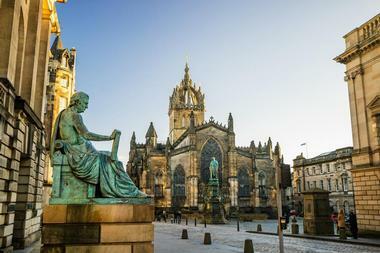 As the capital of Scotland since the 15th century, Edinburgh has no shortage of things for visitors to see and do. Perched on top of a series of extinct volcanoes overlooking the sea, the beautiful city allows visitors to feel like they have truly stepped back in time to Old Scotland. Charming cobblestone streets wind their way through the medieval Old Town, while the 18th-century New Town boasts beautiful Georgian architecture and an excellent collection of shops. 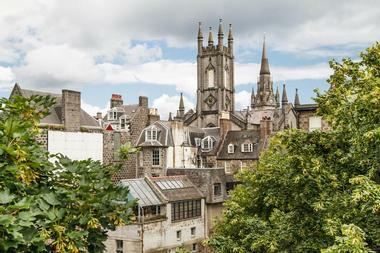 The city is also very well connected to the rest of the country, making it the perfect place to begin your Scottish adventure. 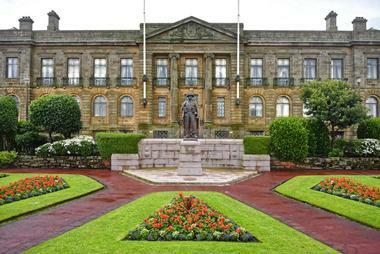 Conveniently situated between Edinburgh and Glasgow, Falkirk is home to a wealth of wonderful attractions. The impressive Antonine Wall dates back to the 2nd century and allows visitors to stroll along what was formerly the northernmost frontier of the Roman empire, while the 14th-century Callendar House contains a number of displays that detail the history of the area between the 11th and 19th centuries. There are plenty of modern marvels in the city as well, including a rotating boat lift known as the Falkirk Wheel and the Kelpies, a set of huge and dramatic horse-head sculptures. Many visitors come to Fort William to climb nearby Ben Nevis, the highest mountain in the UK, but the town is well worth a visit even if you aren't a mountaineer. Popular activities include admiring the scenery of the Lochaber Geopark, visiting the West Highland Museum, and relaxing in one of the town's traditional pubs, but the beauty of the area has also made it a popular location with filmmakers. Visitors might recognize some of the settings from their favorite movies, and they will also have the chance to hop aboard the train that whisked Harry Potter off to Hogwarts. 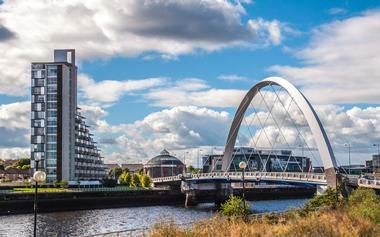 Scotland's largest city, Glasgow boasts a distinctive, vibrant energy that draws many visitors back time and time again. Known for having plenty of stylish bars as well as one of the best live music scenes in the UK, the city stays alive well into the night. However, there is no shortage of things to do during the day; the many stately Victorian buildings that line the streets are an attraction in and of themselves, but the city is also known for its world-class shopping, excellent museums, beautiful city parks, and wide variety of unique art galleries. Widely acknowledged as one of the most beautiful places in Scotland, Glencoe is located inside the breathtaking Lochaber Geopark. 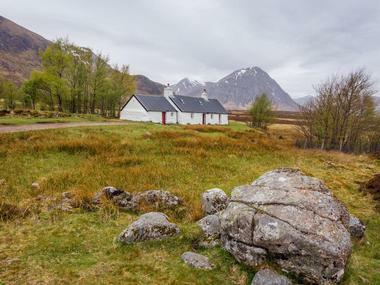 The village of Glencoe sits right at the foot of the narrow glen, which was carved out thousands of years ago by melting glaciers and volcanic explosions. 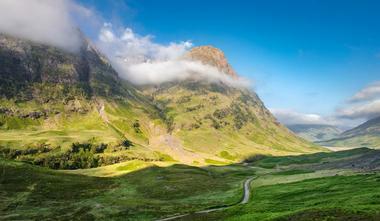 The village access road passes right through the glen, and visitors can learn more about the dramatic creation of the glen by following the Glen Coe Geotrail. There are also plenty of other trails in the area, which lead hikers through the spectacular scenery of the Highlands and provide plenty of opportunities to see native Scottish wildlife. Tucked up against the northwest coast of Scotland, the Hebrides are a chain of rocky, mountainous islands that are usually divided into two groups: The Inner Hebrides and the Outer Hebrides. The archipelago is best known for its rugged beauty and spectacular beaches, but visitors can also admire the stone carvings and crosses on the island of Iona or head to the island of Islay to taste some of the world's best whisky. Approximately 50 of the islands are inhabited; most are accessible by ferry, although the island of Skye is connected by bridge to the mainland. 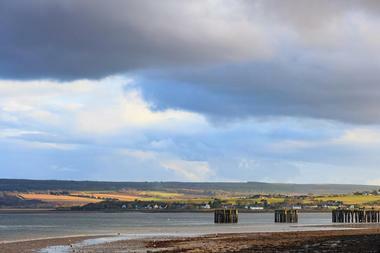 The busiest cruise ship port in the country, Invergordon is a small town located in a particularly beautiful part of the Highlands. The town is pleasant enough, offering plenty of shops, cafes, and buildings decorated with colorful murals, but the real attraction here is the multitude of excursions that can be done from the town. 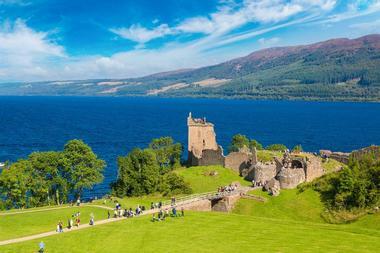 Even if you have only half a day, it's possible to visit a castle, a whisky distillery, or the famous Lock Ness. The majority of visitors are just passing through the town on a cruise, but there are still plenty of excellent guest houses, hotels, and campsites in the area. 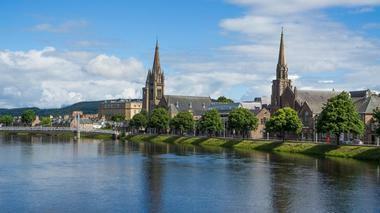 Usually considered to be the cultural capital of the Highlands, Inverness is a surprisingly cosmopolitan city that provides easy access to the natural beauty of the Highlands. 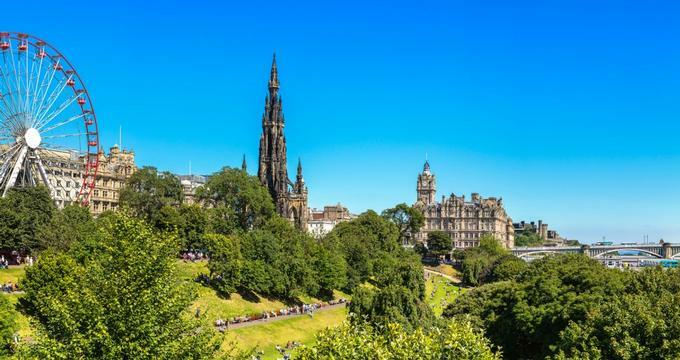 The surrounding area boasts attractions such as the Culloden Battlefield and a Bronze Age burial site known as Clava Cairns, and the picturesque River Ness runs right through the heart of the city. Visitors flock here with the intention of trying to catch a glimpse of the famous monster at nearby Loch Ness, but it's also worth spending some time in the city itself to enjoy the many excellent restaurants, art galleries, and shops. 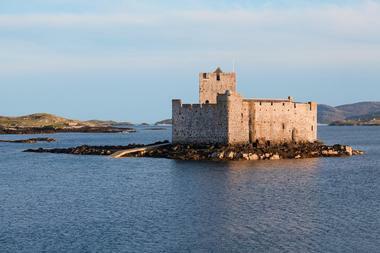 Known as the "Queen of the Hebrides," Islay is the archipelago's third-largest island. The island offers the same stunning scenery as many of the other islands in the Hebrides, but what sets it apart are its eight working whisky distilleries. Considered by many to produce some of the world's best whisky, the distilleries are known for producing a distinctively peaty beverage where the malt has been dried over peat cut right from the islands' mossland. 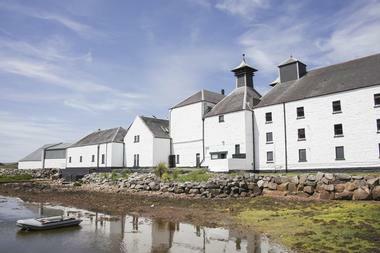 Visitors can taste the whisky and observe the production all year round, but a great time to visit the island is during the last week of May, when the Festival of Music and Malt takes place. With its dramatic mountains, stunning coastline, and lush forests, the Isle of Arran offers plenty of opportunities to enjoy nature and engage in exciting activities like rock climbing and kayaking. The entire island is a foodie's dream come true; visitors could easily spend a couple of days doing nothing but tasting the island's local produce, fresh cheeses, traditional oatcakes, decadent ice cream, and handcrafted chocolates. Once you've had your fill of food, you can wash it down with a bit of single malt whisky from the Arran distillery, a pint of locally made craft beer, or Arran Gold, the island's signature liquor. 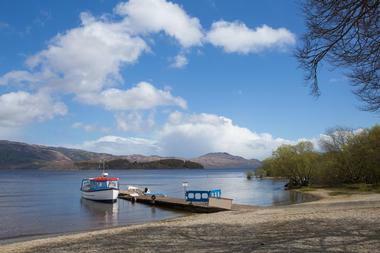 Situated in the heart of the Trossachs National Park, Loch Lomond is the largest loch in Great Britain by surface area. 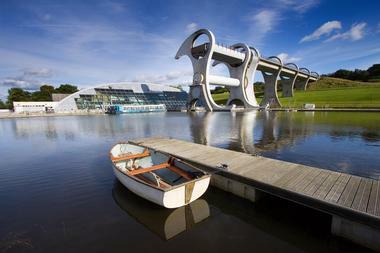 It's also one of the country's most popular destinations for boating, kayaking, and other watersports; visitors can take a relaxing cruise, head to the southern end of the loch to have lunch, go shopping at Loch Lomond Shores, or paddle around the loch's 30 islands, one of which is home to a colony of wallabies. Boaters should be aware that a 10 km/hour speed limit is enforced on some parts of the loch due to environmental concerns. People have believed that Loch Ness is home to a giant monster since the 7th century, so it's no surprise that this loch is arguably the most famous in Scotland. The loch runs all the way from Loch Dochfour to Fort Augustus; it's possible to drive along the western shore of the loch and stop off at the fascinating Urquhart Castle on the way. Visitors hoping to catch a glimpse of the elusive Nessie won't have a problem finding a bus or boat tour, but the loch is also worth a visit if you'd simply like to spend the day fishing or sailing. Blessed with some of the most beautiful scenery in the Inner Hebrides, Mull is a mountainous island with more than 300 miles of coastline for visitors to explore. Home to an incredibly diverse array of wildlife, the island is a great place to see birds and animals such as puffins, whales, basking sharks, otters, and red deer. 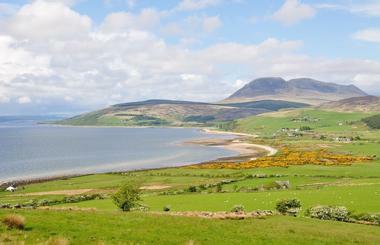 In fact, it's the best place in the UK to see white-tailed sea eagles and golden eagles. 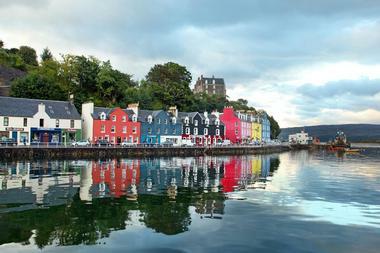 The island's principal town is called Tobermory; sitting right on the waterfront, it boasts brightly colored buildings, a variety of locally owned businesses, and even a small theater company. 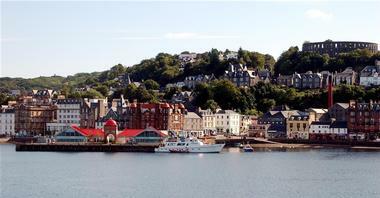 Sometimes called the "Gateway to the Isles," Oban is a small town in Argyll that is home to one of Scotland's main ferry ports. A good number of islands in the Inner and Outer Hebrides are easily accessible from here, including Mull and Islay, making Oban a popular place for anyone interested in exploring the area on a series of day trips. However, the town is also a great destination in its own right; it's known as Scotland's Seafood Capital, and there is no better place in the country if you want to indulge in freshly cooked seafood. The elegant city of Perth is the former Scottish capital, and although the city offers plenty of fine restaurants and art galleries, its intriguing royal history is still one of the best reasons to visit. Visitors can learn more about the city's rich history in the Black Watch Museum, which honors the former Royal Highland Regiment and is housed inside the dramatic Balhousie Castle. On the outskirts of the city sits the opulent Scone Palace; consisting of a beautiful park and an elegant Georgian mansion, the property has served as the crowning place for 42 Scottish kings. Set in a truly idyllic part of the Scottish Highlands, Pitlochry is a well-equipped resort town with a charming Victorian atmosphere. Visitors are spoiled for choice when it comes to spas, restaurants, pubs, and shops, but the town is also a great place to base yourself if you want to hike, fish, golf, or otherwise enjoy the beauty of the surrounding countryside. The town also hosts a good number of special events throughout the year, including the Pitlochry Highland Games every September and a magical sound and light show known as the Enchanted Forest in October. Connected to mainland Scotland by a bridge, the Isle of Skye is the largest, most accessible, and most visited island in the Inner Hebrides. The island is particularly famous for its enchanting mountain scenery and its imposing geological features, but it is also home to a wonderful collection of medieval castles, informative museums, and restaurants ranging from cozy pubs to fine dining establishments. 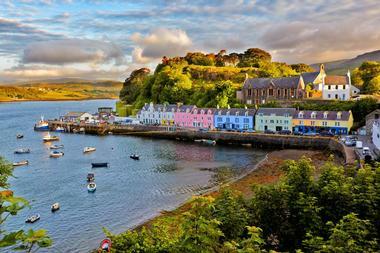 The towns of Portree, Dunvegan, and Trotternish are the best-equipped for tourists and tend to be quite busy, but the island has plenty of other towns and villages that offer a bit more peace and quiet. Named in honor of Saint Andrew the Apostle, St. Andrews is located on Scotland's east coast only an hour or so away from Edinburgh. The cobblestone medieval streets are a pleasure to wander through and the city’s skyline is dominated by the remains of St. Andrews Cathedral, which was once the largest cathedral in the country. 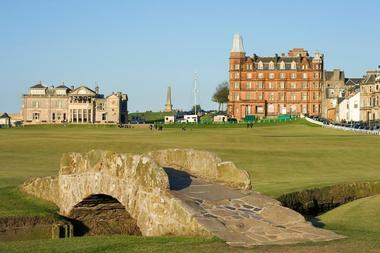 However, these days the town is better known as the "Home of Golf." The area is home to 10 different golf courses, some of which are ranked among the best in the world, and it is also the seat of the Royal and Ancient Golf Club.